Birth place of the world’s most famous orchestra. 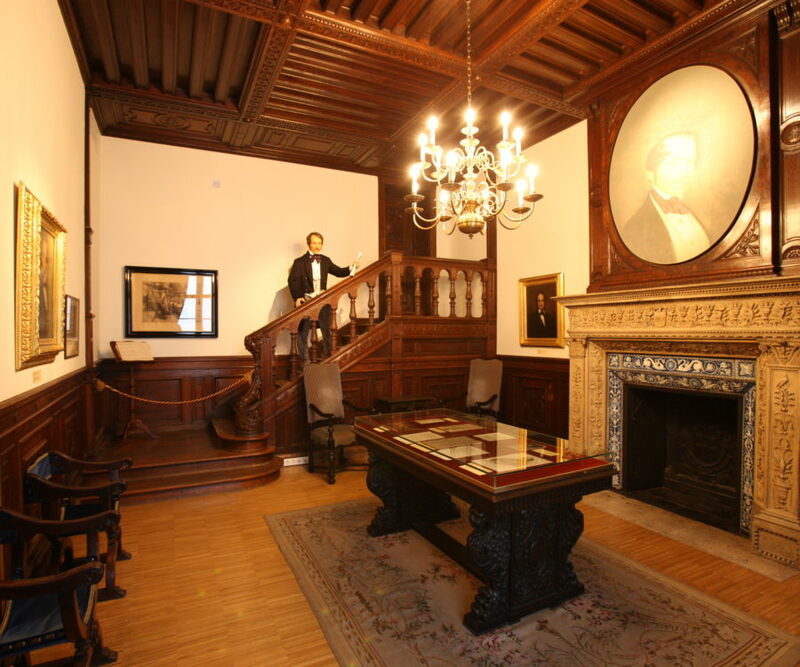 In the splendid historical rooms of the former Palais of Archduke Charles you will find the Museum of the Vienna Philharmonic Orchestra, whose founder, Otto Nicolai, also lived here. The history of the world famous orchestra is now presented at the site where it all began. 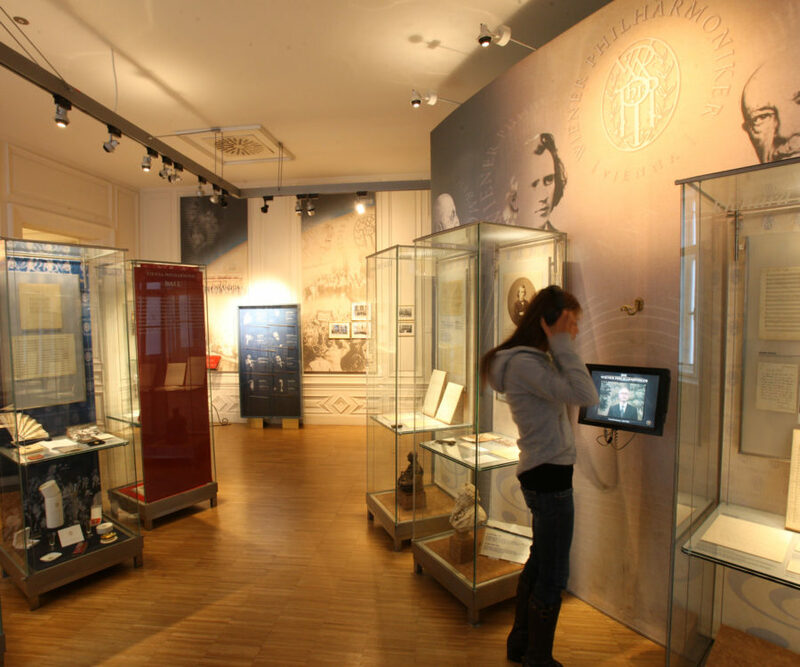 The museum is located in the former apartment of the composer, conductor and founder of the Vienna Philharmonic, Otto Nicolai (1810-1849) who established the orchestra with the unique sound in 1842. This connection provided the impetus for the Vienna Philharmonic, with its Historical Archive, to make HAUS DER MUSIK its new home. Here, the scientific documentation of this world-famous orchestra continues and is made available to the public. Concerts that touch the hearts of millions: New Year’s Concert and Summer Night Concert. 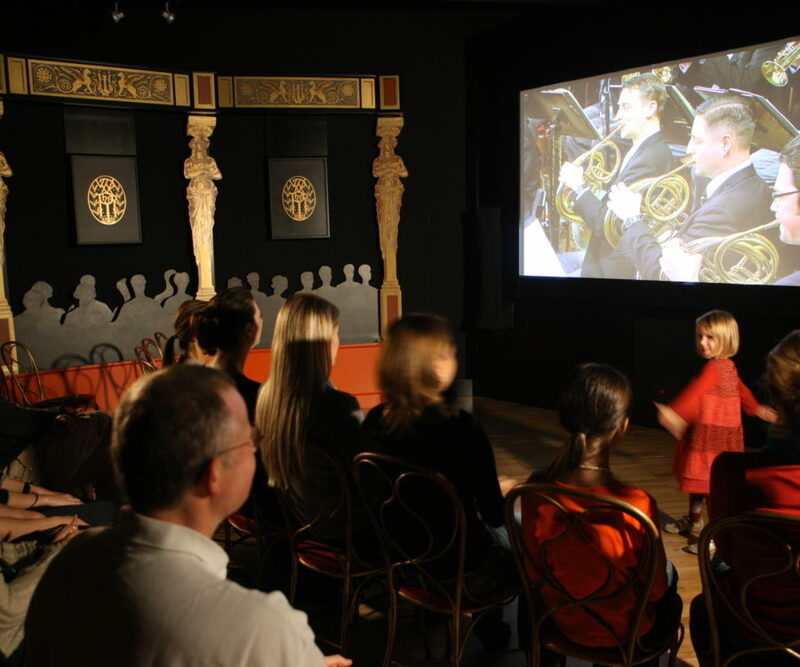 In our specifically equipped concert hall on the museum’s first floor, you can experience the highlights of the Viennese New Year’s Concert and the Schönbrunn Summer Night Concert. Highest audio-visual quality and a festive ambiance allow you to dive in and experience this exceptional cultural events as if you had been there in person. The Best-Of versions will be screened every full hour, from 10am to 9pm daily. Waltz-Dice-Game: compose your own waltz with up to 4 people. Dice games have always been an inspiration for Wolfgang Amadeus Mozart and Joseph Haydn as well as composers of the present. 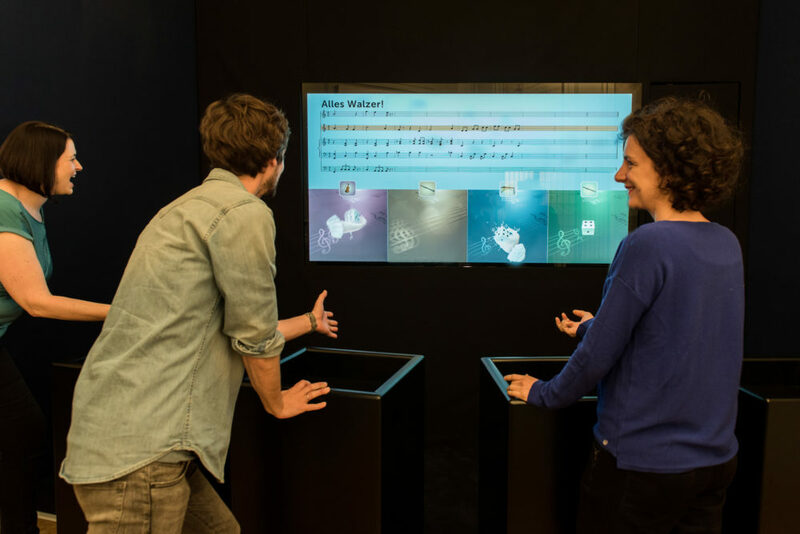 The world’s first Waltz-Dice-Game is one of the biggest highlights of the sound museum. Embedded in the Vienna Philharmonic’s museum – a place where tradition and modern age meet. Roll the dice and compose your very own waltz – intuitively and playfully! Watch your own waltz score emerge on the screen bar by bar. And the best things is: take your personal score back home with you! So let the dice roll and 1,2,3 – Alles Walzer!